Cork Lighting Supplies - Hegarty Lighting Ltd.
Cork Lighting & Interiors has over 30 years experience in the Lighting & Interiors market. This family run business reputation has been built on supplying the Irish & UK Market with quality and fashionable products to suit every taste. With its three metal shades and clear cable, the minimalist design of this fitting looks great in modern interiors as well as in traditional surroundings. 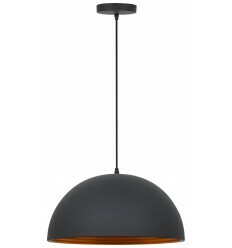 An industrial style metal pendant in a powder coated matt finish. A retro design ribbed ceiling pendant light in a dark grey finish with a gold coloured inner, suitable for lighting in any traditional setting and ideal for over table and kitchen island lighting. 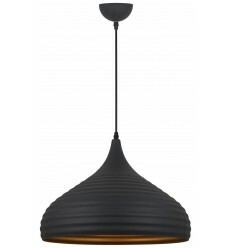 A modern rustic design single ceiling pendant in a dark slate grey with ribbed gold innner. 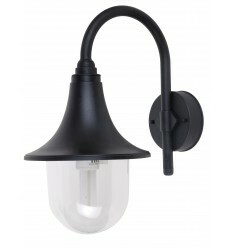 The light is suspended on a black cable which can be shortened at the point of installation for use in rooms with lower ceilings, this would be great for lighting over a dining room table or kitchen island. 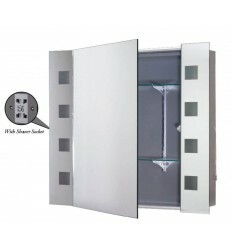 This illuminated bathroom cabinet is the perfect addition to any contemporary bathroom and provides perfect illumination for makeup application or shaving. 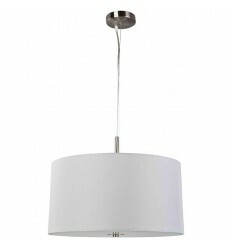 For some thing simple without sacrificing texture or quality, this large drum pendant is a great option. The modern fabric shade features an opal glass bottom diffuser for an even spread of light. This vintage schoolhouse style glass globe hanging pendant delivers classic and nostalgic sensitivity to any interior installation. “Old Skool” design alongside “Nu Skool” LED bulbs gives you a great, energy efficient look. 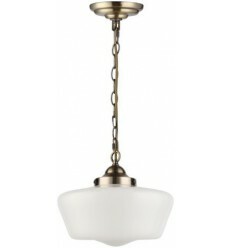 Sophisticated style meets interior design in this Stylo 5 light pendant. 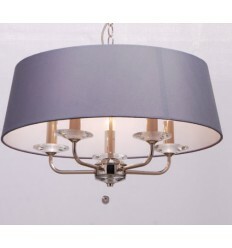 It creates a beautiful ambience with its modern shape and chic fabric shade. Available in two finishes, the polished nickel gives a contemporary edge while the antique brass gives off a softer vibe. 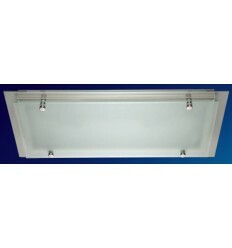 This polycarbonate IP44 lantern is an understated and elegant light for your outdoor space. 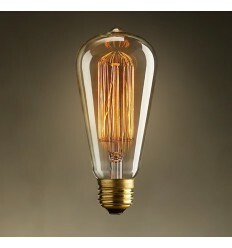 This vintage bulb casts a uniquely beautiful light on its surroundings and is ideal in open lamps and as a free hanging bulb. 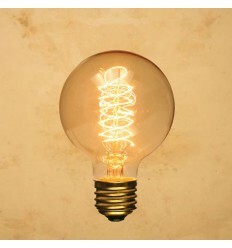 This is a squirrel cage 40W bulb with an E27 screw fitting. Relive a by-gone era with an 80mm diameter globe bulb! No matter what your style, be it a shabby chic kitchen or an industrial living space, this vintage incandescent Edison bulb will be a perfect match for any retro or vintage decorative theme.